Right after his warm-up, Manzoor Durrani sneaks into the changing room of his gym with a brown paper bag. He carefully pulls out a vial and a syringe. The needle is loaded with pure pharmaceutical grade testosterone - the dominant male hormone responsible for physical development - and Manzoor knows that it's hazardous to inject into his bloodstream, but he is willing to take the risk. For him, the reward is worth it. Manzoor is an aspiring bodybuilder who hails from Peshawar and for 16 years, he has been working hard to make it big in the country's tiny bodybuilding industry - by any means necessary. "I fell in love with bodybuilding when I picked up a muscle magazine from the '70s and saw amazing physiques. I wanted to stand next to them and flex my then non-existent muscles," says Manzoor. Having started out on the skinny side, the journey has not been easy for Manzoor, despite his single-minded determination, and arranging funds to feed his passion has been a major problem. Manzoor's family survives on the income earned through a wedding lawn that they own in Karachi's Baloch Colony but the industry's seasonal nature makes this an unreliable source of funds. "In this dwindling economy with soaring food inflation, newly-weds would rather throw a small wedding party at home than book an expensive wedding hall," he says. Thus, Manzoor has to work at three gyms across the city, commuting two hours daily, to make ends meet. He has to live an extremely simple life so that he can allocate enough funds to his training and dietary requirements. And still, when asked whether he is happy with his line of work, he gives an enthusiastic nod and a satisfied smile. World-over, bodybuilding has come a long way. The transition of the sport and change in judging standards have given competitors a reason to push the envelope further and further. It's a full-time job, and competitors are forced to compromise when it comes to their job, family, domestic responsibilities and, at times, their health. It also involves spending a larger portion of their income on food, dietary supplements, promotion, and 'assistance' from steroids. The sport used to be a show of strength and aesthetics, but it has now evolved into a display of massive, anatomy-chart-like physiques. Back in the day, bodybuilding was considered a body sculpting art, where trainees would spend hours under the iron, preparing and shaping their muscles for the sake of beauty, grace and expression. Fast forward half a century and things are quite different. Now it's about how 'freaky' the competitor looks. Here, the word 'freaky' is a combination of sheer size, extreme dryness, road-map vascularity and popping muscle bellies. The winning title is now awarded to the 'mass monster' with muscles and veins that are only witnessed in comic books. Pakistani bodybuilders have it harder than most others. Like almost everything else in the country, the profession of bodybuilding is also heavily politicised. Political parties have managed to sink roots into the industry with party officials often sponsoring budding bodybuilders. Judges too usually belong to political parties and use their authority to favour the chosen few. This politicisation has hit the sport's growth hard in Pakistan. Of all the Pakistani competitors and high-ranking bodybuilding officials I know, Mohammad Rafiq stands out as the most dedicated and 'unadulterated' individual in the game. Rafiq Bhai, as we fondly call him, is not only a former chairperson of the Pakistan Bodybuilding Federation but also a three-time Pakistan national champion, which is quite a feat. Rafiq knows the game all too well and, ironically, that is the reason he decided to step down as the federation's chairman. He knows that everything that is needed to create champions can be provided to Pakistani bodybuilders, but says that rampant politics in the industry will not let it happen. According to bodybuilding law, three ingredients go into creating a champion physique: dedication, genetics and money. One does not have control over genetics but they are essential in determining constants such as body frame, width, height, muscle shape, strength, vascularity and so on. Unfortunately, Pakistani bodybuilders, like others from South Asian countries, have poor genetics in comparison to other races and they lose out most points here when stepping onto the global arena in competitions such as Mr World, Mr Universe and Mr Olympia. In fact, stepping onto the global stage at all is a distant prospect for Pakistani bodybuilders. Dedication boils down to how disciplined a bodybuilder is when it comes to training and dieting. Workouts cannot be missed, calories need to be carefully counted depending on whether he's 'bulking up' or 'dieting down' and the intensity of his training should reflect his desire to win. But even if you have the dedication and the genes, you simply cannot carve a champion physique without money. Protein, which happens to be the most expensive food group, is needed to build bigger and stronger muscles after an intense training session. "I make it a point to eat three kilos of fresh fish daily," says Mr Pakistan Atif Baloch. Similarly, Manzoor consumes six eggs and one kilo of meat daily. All this on top of a regular protein-enriched breakfast, lunch and dinner. To maintain this protein-heavy diet, money is needed for purchasing dietary supplements in the form of protein shakes, meal replacement shakes, fat burners, pre workout formulas and post workout formulas. Since these supplements are all imported to Pakistan, they come at a significant cost. "If you have control over these three variables, then you can walk out as a winner," says Rafiq. In his heyday, there was plenty of love for the sport, positive government intervention and publicity but he still feels that the worst thing that happened to the industry was inefficient government involvement. When the government intervened, it resulted in stringent regulation, red tape and party influence which were counterproductive to the industry's growth. But there are also areas where the absence of government assistance is sorely felt, as in financial support, prize distribution, media coverage and global competition exposure. And then there's the dark side: steroids. It's a sad fact that without these dangerous substances, one cannot create an impact in the professional ranks globally. 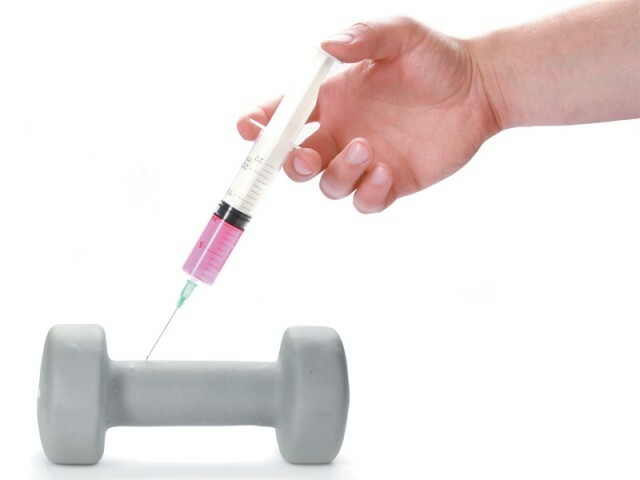 It's not just a Pakistani problem, as steroids are rampant in the global body building industry - if you want to compete professionally, then you must be ready to inject yourself with all sorts of hormones, chemicals and performance-enhancing drugs. The use of steroids, however, has been a point of consternation among industry pundits and players alike. Controlled steroid use is not supposed to be life threatening, and it is in fact steroid abuse which gives the concept a bad name. There is a method to ensure the right usage of steroids but unfortunately, Pakistani bodybuilders are not well versed with this method and instead rely on trial and error and use the one-size-fits-all approach. The thirst for victory has made many competitors push the envelope too far and this has resulted in many complications and, at times, even death. Steroids and supplements also cost a great deal of money, which is hard to arrange for most local enthusiasts. As a result, competitors have taken extreme measures to acquire funds, such as pulling their children out of school, selling their property and assets and even resorting to fraud. When it comes to steroid use, competitors do not know where to draw the line. Manzoor has himself been banned for three years due to testing positive for banned substances when he went to compete for the Mr Asia title. A former Mr Pakistan was hospitalised for three weeks due to a failing liver after he injected himself with doses that were fit only for an elephant. This is not the only area though where Pakistani bodybuilders lack awareness and proper training. Food, dietary supplements, money and steroids have little effect on muscular development when you are not able to effectively train your muscles for maximum size, definition and detail. There are many training principles out there such as High Intensity Training, propagated by Britain's six-time Mr Olympia Dorian Yates, which relies on short and intense training sessions. Then there is High Volume training made famous by Arnold Schwarzenegger (a seven-time Mr Olympia title holder) which focuses on a high number of sets and extended workout durations. Pakistani bodybuilders tend to use the HVT style, not because it works best for them, but because they usually don't know any better. When it comes to training, one must realise that every body is different and what works for X may not work for Y. But Pakistani bodybuilders do not realise that - they feel that if one training method produced a winner, then that training method will make them a winner too. And so, for many decades, a black and white scripture has been passed down from gym to gym that is supposed to possess the ultimate training philosophy. In fact, this is nothing but a tear-out sample workout from one of those ancient muscle magazines. All these cases and problems paint a pretty gloomy picture for the bodybuilding industry in Pakistan. Nonetheless, a glimmer of hope always shines through when an aspiring youngster picks up his first set of weights and dreams of standing on stage among the best the world has to offer. He knows that it isn't going to be easy, but with a well chalked out plan he's certain he can create waves. But that's only if he can avoid the traps that so many others before him have fallen foul of. Published in The Express Tribune, Sunday Magazine, September 9th, 2012.